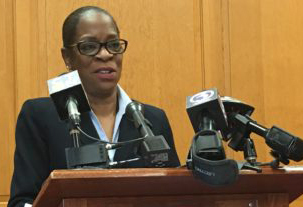 State Treasurer Denise L. Nappier announced Tuesday she will not support Gov. 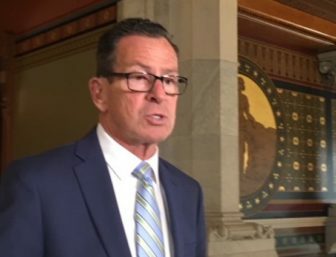 Dannel P. Malloy’s proposal to borrow $10 million to finance a new analysis of electronic tolling. Nappier said she expects to abstain when the matter comes before the State Bond Commission at its meeting Wednesday morning in the Legislative Office Building. 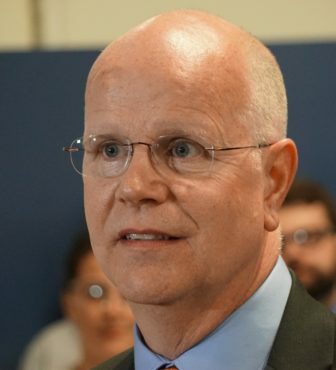 Comptroller Kevin P. Lembo, a Democrat announced last week he would oppose the Democratic governor’s initiative. But Malloy nonetheless appears to have the six votes necessary to approve the $10 million in financing. The state ordering a study on tolls in 2009. And Department of Transportation officials have estimated tolls could not be fully implemented on Connecticut highways before 2022. So why should a toll study be launched now, given that the legislature opted not to act during the 2018 session — which adjourned on May 9 — on a bill to order a new analysis? Lembo asked a similar question last week when he announced he would vote against the governor’s request. Neither Malloy nor Nappier are seeking re-election. Lembo is running for a third term. The governor has pressed lawmakers throughout his second term to commit to a two-to-three-decade-long rebuild of the state’s aging, overcrowded transportation infrastructure — something the governor says cannot be accomplished without a major new funding source. Republican legislators have been unanimous in their opposition to tolls. The two-highest ranking Republicans on the legislature’s Finance, Revenue and Bonding Committee, Sen. L. Scott Frantz of Greenwich and Rep. Chris Davis of Ellington, both also serve on the bond commission and both have been outspoken in their opposition to tolls. Still, Malloy appears to have the votes to approve financing for a new study. The governor effectively controls three votes on the bond commission. He has one seat himself, while two others belong to his budget director, Ben Barnes, and his commissioner of administrative services, Melody Currey. The top two Democrats on the finance committee, Sen. John Fonfara of Hartford and Rep. Jason Rojas of East Hartford, also serve on the commission. Both supported an analysis of tolls when a bill to order one appeared before the Finance, Revenue and Bonding Committee, and both have said they would support the $10 million bond allocation on Wednesday. The last three seats on the commission belong to the comptroller, the treasurer and the attorney general. A spokeswoman for Attorney General George Jepsen said last week that Jepsen would vote to approve the financing.